Publisher 1C Company had the strategy genre on lock last weekend at PAX South. 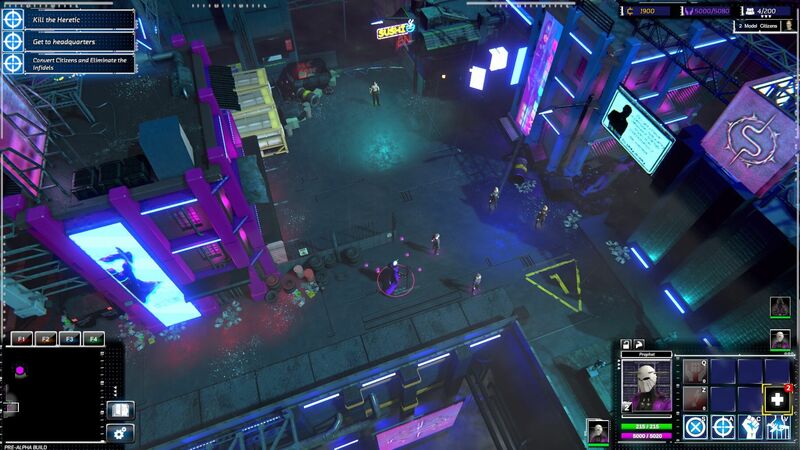 Between the squad-based Ancestors Legacy and turn-based strategy RPG Deep Sky Derelicts the publisher also unveiled a new cyberpunk RTS called Re-Legion from Ice Code Games. The game takes place in the isometric future of 2083. The population is becoming increasingly disenfranchised with the mega corporations and advanced technology that dominate the world. Players take on the role of a Prophet leading their own cult of believers. Once converted, you can upgrade your cultists to fill the role of specific units. This helps them better spread your neon-futuristic gospel. Since this is a land of cyberpunk technology, the cults gain territory through hacking terminals to display their factions propaganda and convert non-believers to their cause. This puts them in direct opposition to rival cults who have the same idea, leading to RTS style skirmishes. 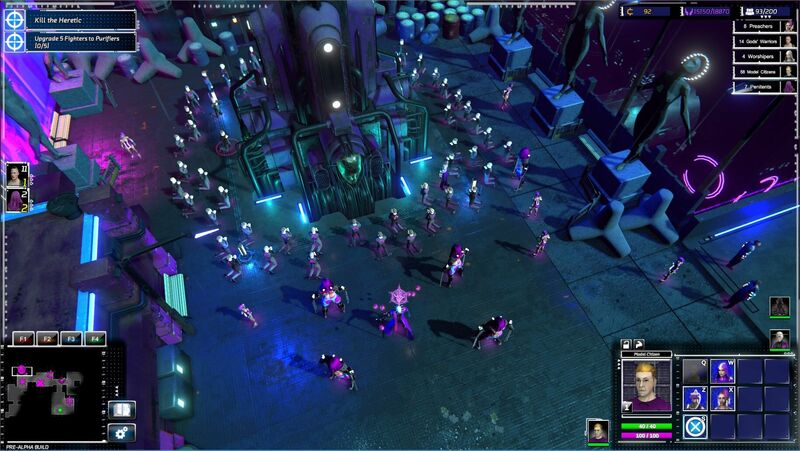 Re-Legion gives players several units at their disposal. Everything from Preachers who constantly work to convert new members to the Silent Hill looking Penitents who uphold the will of the Prophet. Along the way the Prophet will need to make moral choices that will impact how their cultists behave. Do you show mercy to enemy units and allow them to flee or murder them for their insolence? Your followers will learn from your example as your actions become part of the religious doctrine. Re-Legion offers both a mature, story-driven single-player mode as well as multiplayer modes that let the strongest prophet reign supreme. Re-Legion hasn’t been given an official release date yet, but word at PAX was that fans look for it to show up on Steam around June 2018.